Explain to your counselor the most likely hazards you may encounter while participating in rowing activities, including weather- and water-related hazards, and what you should do to anticipate, help prevent, mitigate, and respond to these hazards. Review prevention, symptoms, and first-aid treatment for the following injuries or illnesses that can occur while rowing: blisters, hypothermia, heat related illnesses, dehydration, sunburn, sprains, and strains. Review the BSA Safety Afloat policy. Explain to your counselor how this applies to rowing activities. Backwater in a straight line for 25 yards. Make a turn under way and return to the starting point. Tie the following mooring knots—clove hitch, roundturn with two half-hitches, bowline, Wellman's knot, and mooring hitch. Participate as a rowing team member in a competitive rowing meet. The team may be sponsored by a school, club, or Scout unit. The meet must include competition between two or more teams with different sponsors. Complete at least 10 hours of team practice prior to the meet. In a fixed-seat rowboat, come alongside a pier and help a passenger into the boat. Pull away from the pier, change positions with your passenger, and demonstrate sculling over the stern or side. Resume your rowing position, return alongside the pier, and help your passenger out of the boat. In a sliding-seat rowboat, come alongside a pier and, with your buddy assisting you, get out onto the pier. Help your buddy into the boat. Reverse roles with your buddy and repeat the procedure. Types of craft used in commercial, competitive, and recreational rowing. Four common boatbuilding materials. Give some positive and negative points of each. Types of oarlocks used in competitive and recreational rowing. Rowing. 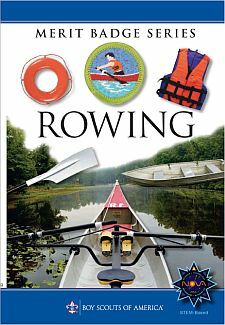 Those supervising rowing activities must have either BSA Aquatics Instructor certification or equivalent; OR local councils may approve individuals previously certified as such, or trained by an instructor so qualified.